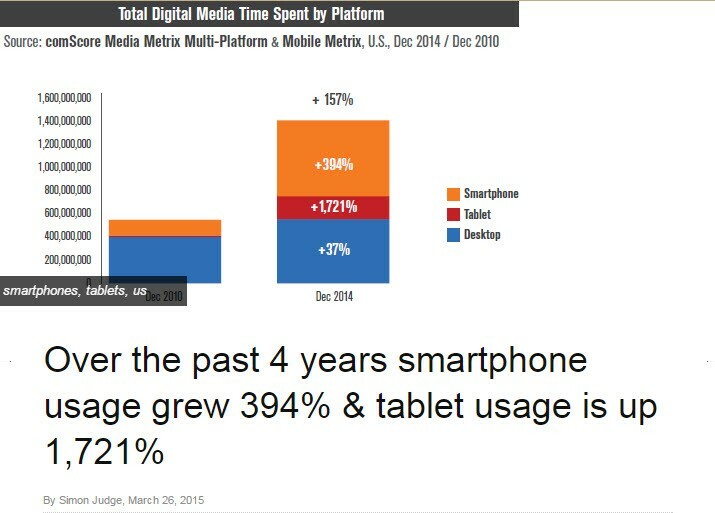 A recent study produced by Smartphone Market Research illustrates that that in the past 4 years, smartphone usage has grown 394% and tablet usage is up 1,721%. And for SERPs that means billions of searches are occurring solely on mobile devices. Subsequently, Google wants to provide better search capabilities for users; thus, Google “will be expanding their (our) use of mobile-friendliness as a ranking signal.” In short, this means that your business needs to not only take the necessary precautions to ensure your site is not adversely affected, but you’re also staying ahead of the game and taking advantage of the mobile opportunities this algorithm update will be creating. 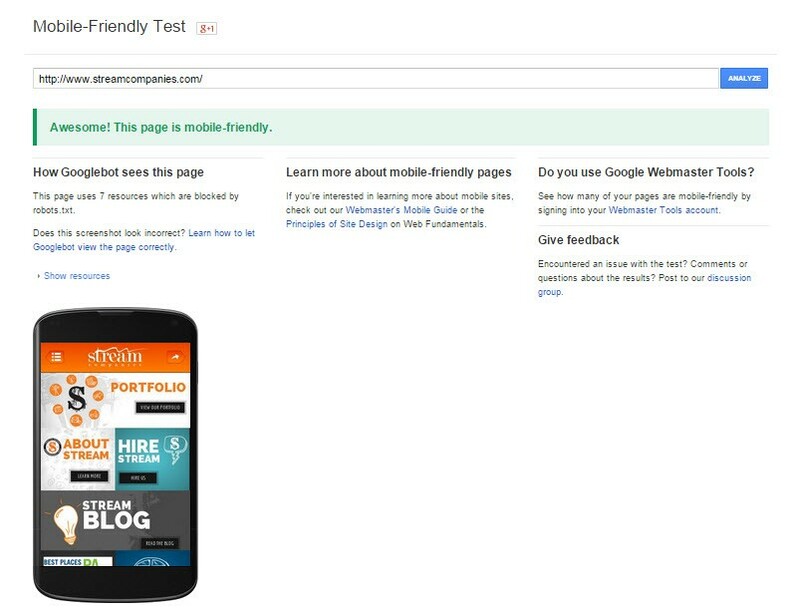 If you’re not sure if your site is mobile-friendly, the first thing you can do is test your landing pages with Google’s Mobile-Friendly Tool. Begin with your site’s homepage and go from there. If Google tells you your sites landing pages mobile-friendly, you are going to benefit greatly from this mobile update. 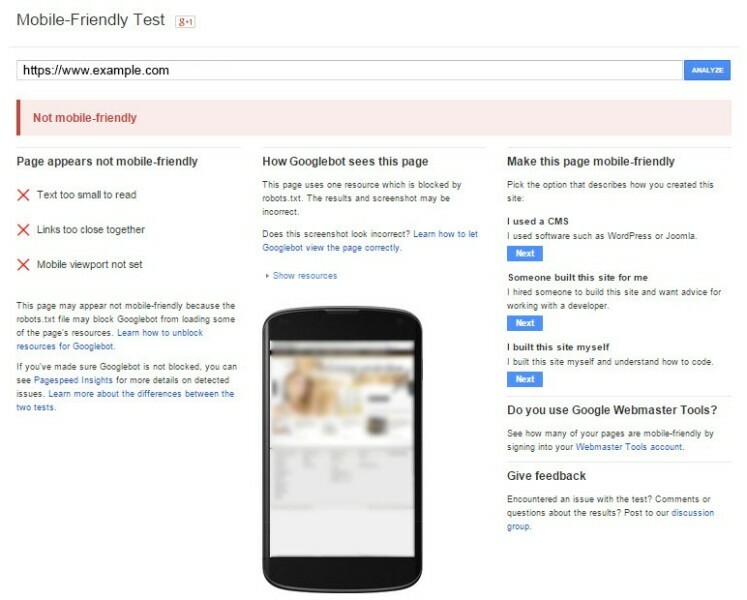 If your site is deemed “Not mobile-friendly”, it is important you take immediate step to make the proper changes as highlighted by the Mobile Friendly Test. Page speed is nothing new. It is one of 200 or more factors that Google uses to determine page ranking. However, in the world of mobile search, it is extremely important to make sure that your page speed is up to par. Why? Because how quickly your page loads will determine whether or not a user will use your site for finding information. The faster your site loads, the faster a bot is able to crawl your page and index information for users to find in SERPs. If your site’s page speed is slow, chances are the mobile-friendly algorithm update is going to negatively impact your site’s mobile traffic. Finally, make sure you quickly log into Webmaster Tools and check your Mobile Usability. If your site is rending lots of errors, it’s important that you tackle these issues head on. Remember, regardless of industry, mobile search makes up 30% of site traffic. Considering, that in 2013 that number was only 17.4%, we can be certain that number will continue to rise and impact your place in SERPs. It is only fair to say that the extent and vastness of the mobile-algorithm update is still somewhat of an enigma. However, that fact that the use of mobile electronics has been on a constant, global upswing for the past 6 years–with no signs of slowing down–and that Google was uncommonly proactive in their announcement of this latest algorithm update, we can be certain that the update is meant to be significant. We just don’t know how big of an impact it will make right out the gate. We don’t know if sites will actually be penalized if they are not mobile-friendly until the update is fully unveiled; however, we do know that Google will be rewarding sites who are providing mobile-friendly content for sites that meet their mobile friendly requirements. In short, if your site isn’t mobile-friendly it may not be penalized; however, sites optimized for similar content that are mobile friendly will be be favored over sites that are not optimized for mobile use.